A lot of Lean practitioners dislike the use of Japanese words. However, some concepts don’t easily transcend culture. Hansei is one of those. Hansei, commonly translated “time out” (as in giving a disobedient child “time out”), is a much deeper concept in the Japanese culture. It means to reflect on and acknowledge one’s mistake (or one’s success), seek it’s root cause and resolve to improve. As with time out, Hansei almost always requires withdrawal from others so as to go inside oneself, to discover not only what went wrong, but why (root cause). Equally important, Hansei for a mistake requires contrition and resolve. After getting to the root cause of the problem, one expresses sorrow and resolves to change for the better (Kaizen). The key here is preventive measures to avoid this problem in the future. With a success, one seeks to know the root cause so as to repeat, and improve on, it. Similarly, Hansei-Kai is Hansei done by a group. It bears all the same traits of personal Hansei, but is conducted as part of a larger group. So what? How does Hansei apply to business? Let’s put this concept in context. BACKGROUND: On August 28th, 2009 Toyota became the center of news, when a Lexus ES350, driven by an off duty California Highway Patrolman, accelerated out of control and killed all four occupants. What made this crash front page news was that the events leading up to the crash were captured in a 9-1-1 call from the driver’s wife. 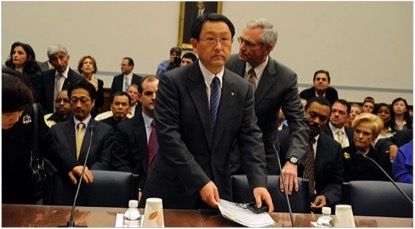 Coverage of what was later called “Sudden Unintended Acceleration,” or SUA, grew world-wide, badly tarnishing Toyota’s reputation as one of the world’s safest and most dependable auto makers. Waive for a second the fact that the National Highway Traffic Safety Administration (NHTSA) had been investigating similar problems with Toyota vehicles since 2002 and, in each case, exonerated the auto manufacturer (http://www.safetyresearch.net/toyota-sudden-acceleration-timeline). Within Toyota, the problem was taken much more seriously. Although never recorded, what appears to have occurred within Toyota was Hansei-Kai. What leads me to say that? ACKNOWLEDGEMENT & CONTRITION: On February 24th, 2010, Akio Toyoda, President of Toyota, stood before the U.S. House of Representatives and “profusely apologized and took personal responsibility” 1for the sudden acceleration problem that led to the recall of millions of Toyota’s vehicles. RESOLVE: In the end, Toyota recalled almost 10 million cars and began an internal campaign to rededicate itself to safety. Although not publicly stated, it is presumed that care in future growth was one of the many Kaizens within the leadership team of Toyota. This kind of response doesn’t come from speechwriters or “spinners,” but from deep introspection. 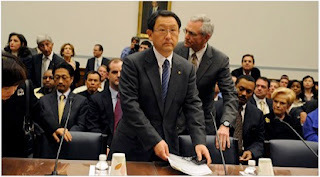 In short, while never acknowledging that they had done so, it is evident from their actions that Hansei-Kai led to Toyota’s deeply insightful acknowledgement, contrition, root cause analysis and resolve.